The best coffeetable book of the year? No, this isn’t a fantasy. They said it couldn’t be done, but in an effort spanning a decade, a team of artists and creative visionaries labored to bring the unfilmable to the silver screen. Under the direction of Sir Peter Jackson, their extraordinary efforts to adapt J.R.R. Tolkien’s The Lord of the Rings and The Hobbit generated almost 24 hours of cinematic wonder, and transported audiences to a world of astonishing beauty and power. 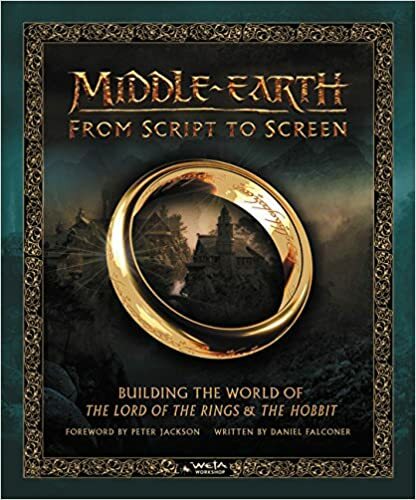 For the first time ever, that epic story is found within the pages of Middle-Earth: From Script to Screen (Harper Design, $75). Richly illustrated with thousands of film frames, concept art and behind-the-scenes imagery (many previously unseen), the tome follows in the footsteps of the Fellowship of the Ring and the Company of Thorin Oakenshield, visiting the realms and landscapes of Middle-earth and uncovering their secrets. Accompanying this stunning gallery, cast and crew reflect upon their experiences, share brand-new stories and insights into how the wildernesses and soundstages of New Zealand were transformed into a magical world of hobbits, Dwarves and Elves, resulting in one of the most spectacular achievements in cinematic history. What a royal treat! Queen in 3-D (London Stereoscopic Company, $60) is the first history of any rock group created in 3-D (!) and written by a band member. 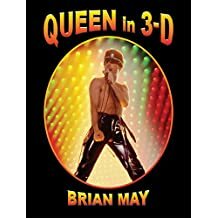 The book, a stereoscopic masterpiece by iconic guitarist and songwriter Brian May, features more than 300 previously unseen 3-D photographs, capturing the history of Queen from the early ’70s to present day, and mostly accessible in 3-D using the OWL viewer supplied (an invention patented by May). His recollections about himself and fellow band members Freddie Mercury, Roger Taylor and John Deacon, are shared for the first time. Images were taken on stage and behind-the-scenes, including informal shots taken on the road and during leisure time. Mercury, shy and fiercely protective of his privacy, interacted playfully and comfortably with May’s camera. Bonus! The book has a lenticular 3-D front cover! Welcome Bowie: The Illustrated Story (Voyageur Press, $40), a sharply written and gorgeously designed retrospective follows Bowie’s career from the folkie baroque rock of his debut, to his breakthrough single “Space Oddity,” and on to his flamboyant glam rock alter ego, Ziggy Stardust. Nearly every page is illustrated with stunning concert and candid offstage photography, including gig posters, 7-inch picture sleeves, concert ticket stubs, and more. The result is a fitting tribute to one of the most influential and admired stars in rock history. In January 2011, Jean Paul Gaultier’s haute couture runway show ended with the image of a willowy blonde bride in a diaphanous gown. The bride was a man, and one of the first models to walk for both men’s and women’s collections. The event marked the start of a trend. “This ad is gender neutral,” proclaimed a 2016 poster for the fashion brand Diesel; “I resist definitions,” announced a Calvin Klein ad in the same year, while a Louis Vuitton shoot featured Jaden Smith wearing a skirt. 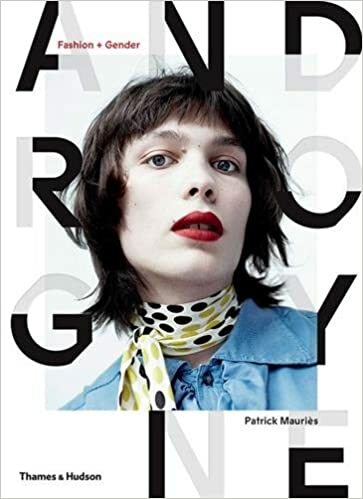 In Androgyne (Thames & Hudson, $60), Patrick Mauries presents a cultural history of androgyny―accompanied by a striking selection of more than 120 images, from nineteenth-century painting to contemporary fashion photography―drawing on the worlds of art and literature to give us a deeper understanding of the strange but timeless human drive to escape from defined categories. What a trip! Hot lips, warm heart. 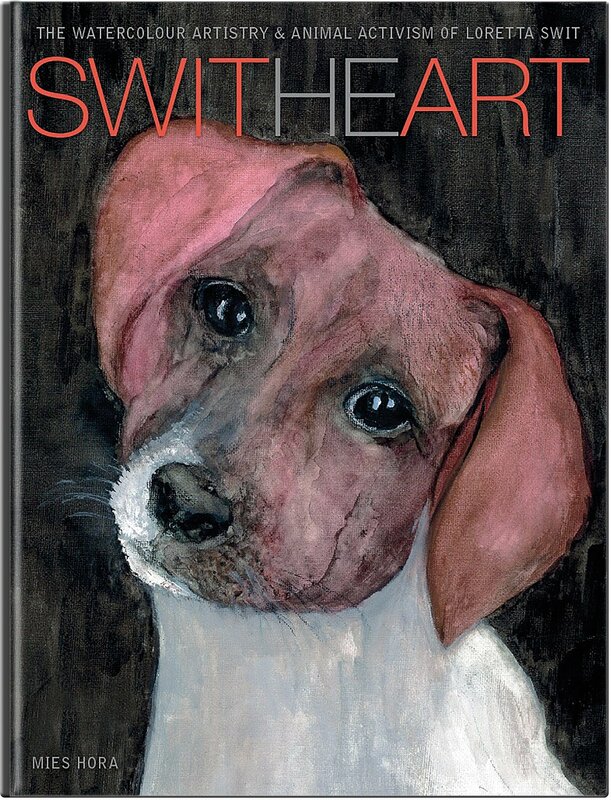 Loretta Swit, best-known for her role on M*A*S*H, shows a more colorful side of herself in SwitHeart (Ultimate Symbol, $49.95), a luscious volume chronicling her animal portraits, along with descriptive anecdotes about each, and her extensive philanthropic work. There are 65 full-color paintings and drawings, as well as 22 photographs; proceeds from the book are donated to charities and programs that are dedicated to ending animal suffering and cruelty. 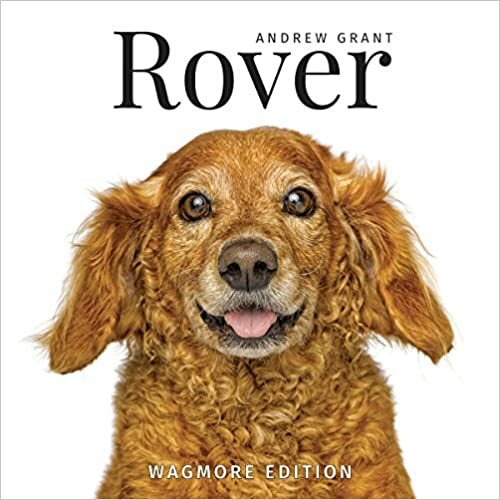 Another pet favorite: Rover: Wagmore Edition (Firefly Books, $40), brimming with 360 of Andrew Grant’s most appealing photographs of dogs. Some are the best friends of lucky owners, and some, sadly, are homeless. All are splendidly realized in sharp, large and very lifelike color portraits. All were captured by state-of-the-art equipment and are truly the most beautiful dog pictures you have ever seen. Firefly Books gives a portion of the profits from sales of the tome to dog rescue. The cat’s meow! 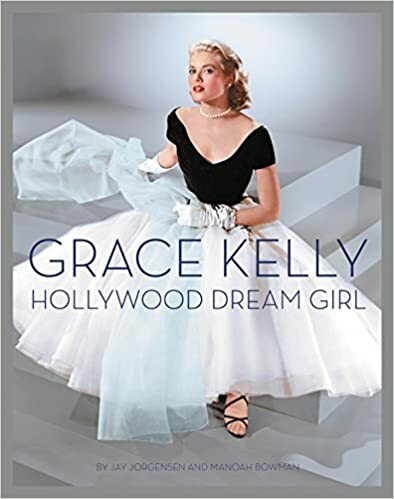 Filled with a dazzling array of photographs, many from original negatives, Grace Kelly: Hollywood Dream Girl (Dey Street Books, $45) showcases the acting princess’ career. Witness the stunning gallery of more than 400 prized and rare photographs and illustrations—precious childhood snapshots; previously unpublished Edith Head and Helen Rose wardrobe sketches; original portraits; scene stills; on-set candids; wardrobe test shots; vintage magazine covers; and rare reproductions of exhibitor’s showmanship manuals showing how film studios marketed Grace Kelly as a star. 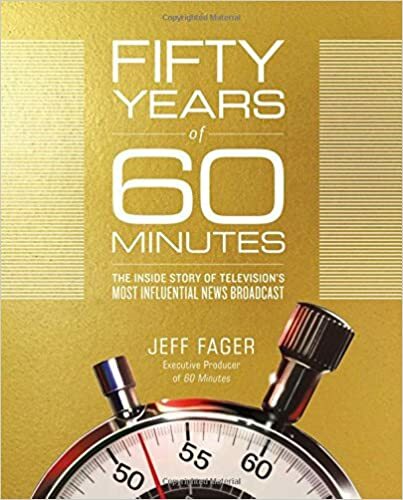 Since 1968, 60 Minutes has set the standard for broadcast journalism, joining us in our living rooms each Sunday night to surprise us about the world. 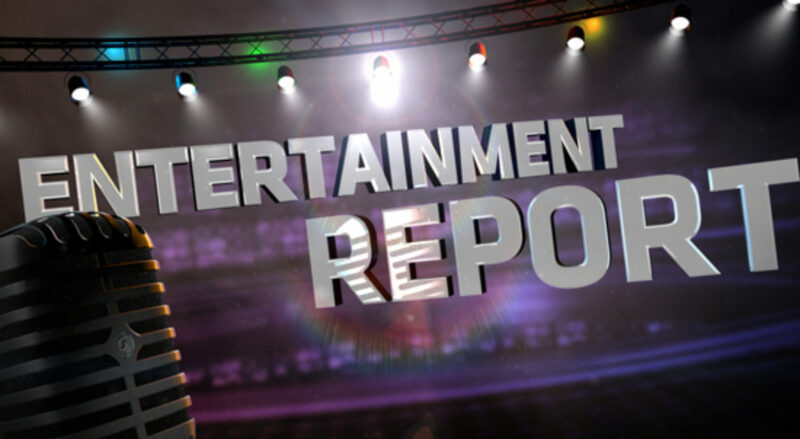 The show has profiled every major leader, artist and movement of the past five decades, perfecting the news-making interview and inventing the groundbreaking TV expose. From sit-downs with Richard Nixon in 1968 (in which he promised “to restore respect to the presidency”) and Bill Clinton in 1992 (after the first revelations of infidelity) to landmark investigations into the tobacco industry, Lance Armstrong’s doping, and the torture of prisoners in Abu-Ghraib, the broadcast has not just reported on our world but changed it too. Executive Producer Jeff Fager pulls back the curtain on how and shares the secret of what’s made the nation’s favorite TV program exceptional for all these years. 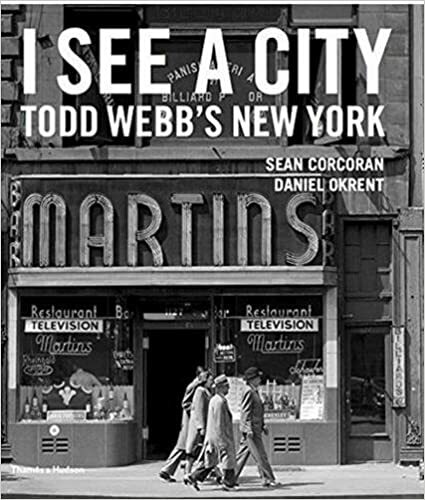 The importance of I See a City: Todd Webb’s New York (Thames & Hudson, $45)? The book helps restore the reputation and legacy of a forgotten American artist. It focuses on the work of photographer Todd Webb produced in New York City in the ’40s and ’50s. Webb photographed the city day and night, in all seasons and in all weather. Buildings, signage, vehicles, the passing throngs, isolated figures, curious eccentrics, odd corners, windows, doorways, alleyways, squares, avenues, storefronts, uptown and downtown, from the Brooklyn Bridge to Harlem. Published on the occasion of the exhibition Todd Webb’s New York at the Museum of the City of New York, where Webb had his first solo exhibition in 1946. Stunning! Some of the most glittering careers on both sides of the camera have been launched behind the iconic gates of Pinewood. From James Bond to Star Wars, the modern age of Marvel and the re-imagining of the Disney classics, Pinewood Studios and Shepperton Studios have played host to the greatest and most cherished movies of all time. 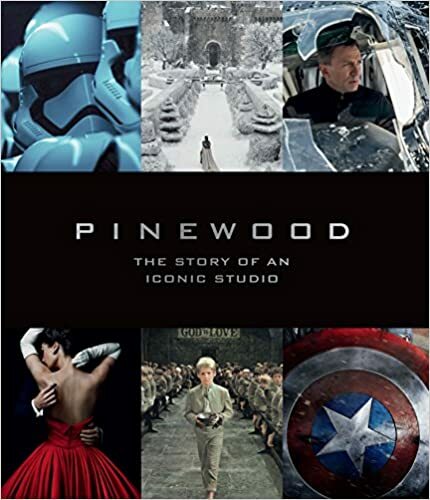 Complete with many exclusive behind-the-scenes images from those classic movies, Pinewood: The Story of an Iconic Studio (Random House, $65,) offers insight, anecdotes and interviews with some of the producers, directors and acting talent who have worked at the studios. Ronnie Wood is one of the foremost rock guitarists in the world, but his artistic talents extend beyond music. 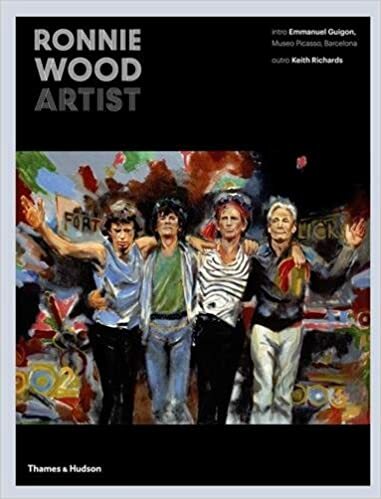 Published together for the first time and in Wood’s 70th year, Ronnie Wood: Artist (Thames & Hudson, $39.95) is the first comprehensive collection of paintings and other works that exudes the same irrepressible energy as the Rolling Stones themselves. Organized thematically, the well-developed book focuses on rock ’n’ roll performances and depictions of stage performances as only the band could witness. Additional chapters show both the breadth of his instincts and style in works on figures, landscapes, animal paintings and sculptures. Wood himself provides the captions and insight into the thought and motivation behind each piece. It’s a big book for a big town. 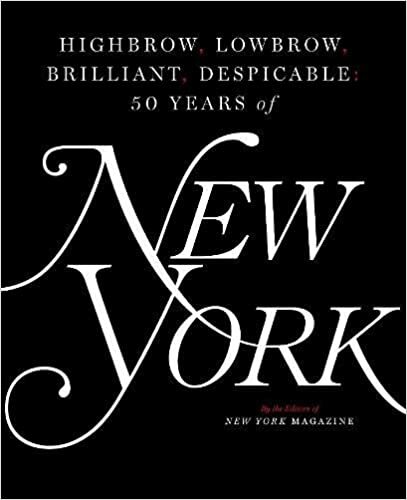 Marking the magazine’s 50th birthday, Highbrow, Lowbrow, Brilliant, Despicable: 50 Years of New York (Simon & Schuster, $65), through stories and images of power and money; movies and food; crises and family life, constitutes an unparalleled history of that city’s transformation . . . and of a New York City institution as well. This huge gem is packed with behind-the-scenes stories from New York’s writers, editors, designers, and journalistic subjects—and frequently overflows its own pages onto spectacular fold-outs. 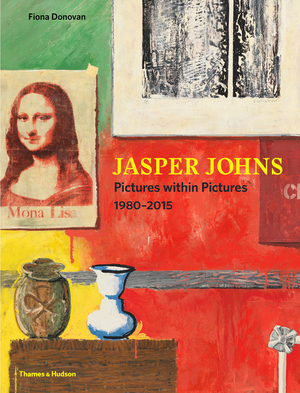 An artful adventure: Jasper Johns: Pictures Within Pictures, 1980-2015 (Thames & Hudson, $60), the first comprehensive study of his later paintings and works on paper. In the late ’70s, after the artist’s explosive Pop Art beginnings and a period of abstraction, representational objects made their way back into Johns’ work. Readers learn of his absorption with the appropriation and abstraction of images taken from Cézanne, Grünewald, Picasso and others, and discover the inspiration Johns finds in his immediate surroundings. With its distinctive silver-bullet shaped profile, the Airstream has been a part of the American recreational landscape for more than 85 years. Since the ’30s, thousands of Americans have used it as a personal canvas to paint their own unique story as they’ve traveled the road of life, and today, these stunning, nostalgia-laden vehicles are more popular than ever. 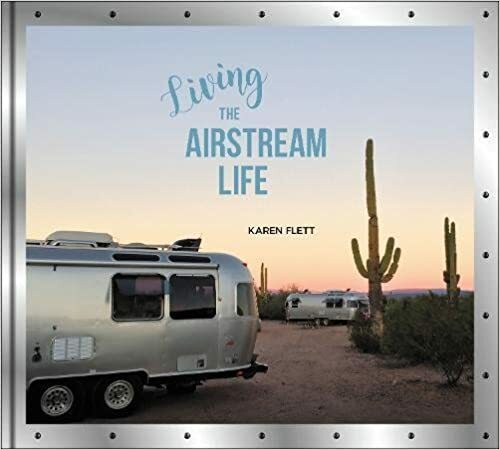 Witness retro as it’s meant to be in In Living the Airstream Life (Harper Design, $35), a tour along the diverse roads aficionados have taken in chasing their Airstream dreams. Stunning color photographs featuring new and vintage versions and compelling stories capture the allure of the Airstream and offer advice and insight on the practicalities of adopting this lifestyle. All together now: On the road again . 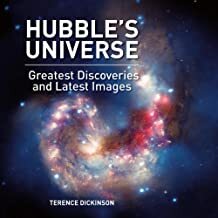 . .
Terence Dickinson selected a breathtaking portfolio of Hubble pictures from a library of more than 700,000 images. Thanks to his familiarity with Hubble’s history and discoveries and his access to top Hubble scientists for insight and accuracy, the text includes facts and tidbits not found in any other book. 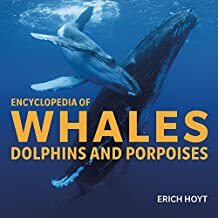 Award-winning author and whale researcher Erich Hoyt takes readers into the field for an intimate meet with 90 species of cetaceans that make their homes in the world’s oceans. ♥ Vogue: The Gown ($49.95) Linda Evangelista. Kate Moss. Twiggy. Scarlett Johansson. Marlene Dietrich. Cindy Crawford. Vivien Leigh. They are just a sampling of the fashion superstars in the book that celebrates haute couture dresses from the early 20th century to today. 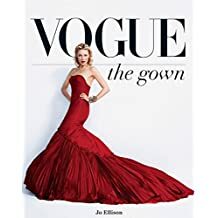 Extended captions with date, photographers, designer and model place the gowns and the models in the history of couture and fashion photography. Know the cover girl? ♥ Highway 1 California ($29.95) It skirts the California coastline, beginning at San Diego and ending at the Canadian border. The beauty! The winding roads! The steep drops! This book presents the California part in stunning color, a testament to why it receives the most domestic visitors of all the states, and is consistently one of the top three states visited by international travelers. 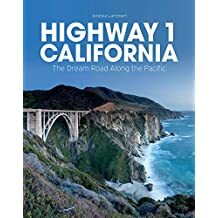 Highway 1 California closes with four detailed road maps that mark the sections of the book so that readers can find sights they would like to visit while traveling on Highway 1. Brian Skerry has braved ocean depths and the jaws of predatory giants to capture the most remarkable photographs of sharks around the world. 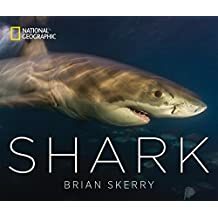 In Shark (National Geographic), a collection of the best of those pictures, Skerry draws on his growing personal respect for these animals to share intimate stories of their impact. Focusing on four key species—great white, whitetip, tiger and mako sharks—the photographs span from Skerry’s early work, photographing them from cages, to his recent unencumbered scuba dives. With additional text by National Geographic writers, Skerry’s images and stories encourage a change in attitude toward these top predators. Now we steer you in the right direction, leading you to the road of must-have coffeetable books for car lovers. They have been released by Motorbooks. Revve your engines! 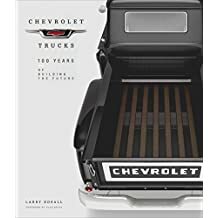 ♥ Chevrolet Trucks: 100 Years of Building the Future ($40) covers the entire Chevrolet truck saga, from the early Series 490, to the medium and heavy-duty models, to the light-duty C-series pickups, right up to today’s contemporary Silverado and Colorado. Officially licensed with Chevrolet and created with their full cooperation for imagery as well as interviews with key figures involved with today’s truck program, this thorough history covers the full array of Chevy models since 1917 and is a must have for any truck fan whose heart beats with a V-8 rhythm. 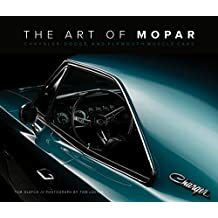 ♥ The Art of Mopar: Chrysler, Dodge, and Plymouth Muscle Cars From the moment Chrysler unleashed the Firepower hemi V-8 engine on the world for the 1951 model year, they had been cranking out the most powerful engines on the market. Because the company pioneered the use of lightweight unibody technology, it had the stiffest, lightest bodies in which to put those most powerful engines, and that is the basic muscle-car formula: Add one powerful engine to one light car. 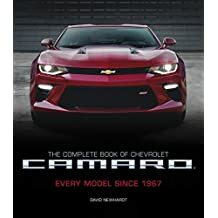 ♥ The Complete Book of Chevrolet Camaro: Every Model Since 1967 ($50) Last year, the sixth-generation Camaro rolled off production lines and roared onto America’s highways, earning best-in-class accolades from all over the performance spectrum. Renowned automotive photographer and historian David Newhardt is here to tell the Camaro’s story. The book covers the entire production history of Chevrolet’s iconic muscle car, from the original concept car (codenamed Panther) to the latest and greatest sixth-generation vehicle. The Complete Book of Chevrolet Camaro showcases every model of Camaro since 1967 in stunning detail, using original and GM archival photography as well as insider interviews and technical specifications. ♥ Shelby American Up Close and Behind the Scenes ($50) is an insider’s look via David Friedman’s documentary photography and first-person stories from Shelby’s key players. 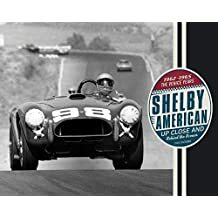 It’s a must-have review of this critical period in both Shelby’s history and the history of American racing. The book brings you closer to the action than ever before with Shelby himself as he creates his iconic speed machines. Prepare for a ride like none other. 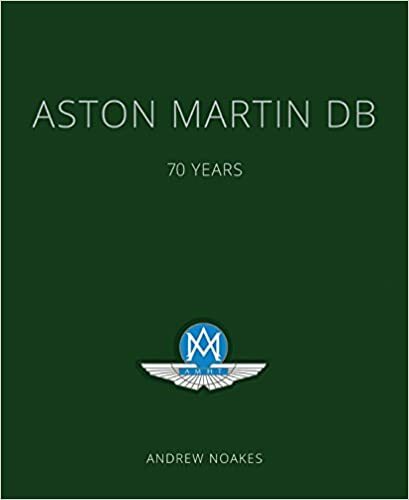 ♥ Aston Martin DB: 70 Years ($60) The name David Brown is synonymous with the glory days of Aston Martin, when a tiny British sports car company was rescued from near-extinction and turned into a marque that could compete with Ferrari. And win. Stylish design, lavish illustration and meticulously researched text come together in this large-format book to create a superb celebration of the 70th anniversary of DB Aston Martins in 2017. 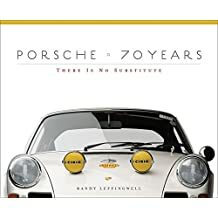 ♥ In Porsche 70 Years: There is No Substitute ($60), Randy Leffingwell offers a richly illustrated and detailed book that captures the full story of one of the world’s leading automotive companies. Beautiful, contemporary, photos and rare historical images accompany in-depth analyses of milestone cars and events. Few woman were as beautiful and picture-perfect as Ava Gardner. 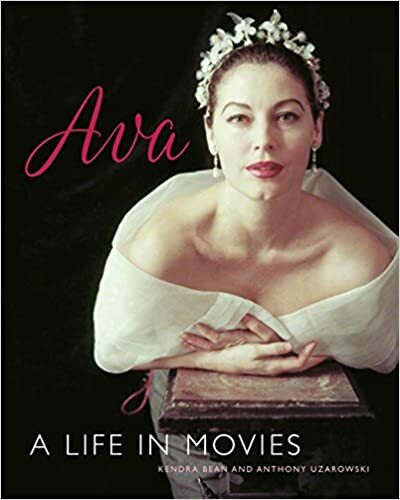 Ava Gardner: A Life in Movies (Running Press, $30) is an illustrated tribute to a legendary life. From the backwoods of Grabtown, North Carolina to the bullfighting rings of Spain, from the MGM backlot to the Rome of La Dolce Vita, this lavishly illustrated biography takes readers on the exciting journey of a life lived to the fullest and through four decades of film history with an iconic star. Paris will always be in fashion. Even before the rise of the haute couture, Parisians were notorious for their obsession with fashion, and foreigners eagerly followed their lead. From Charles Frederick Worth to Gabrielle “Coco” Chanel, Christian Dior and Yves Saint Laurent, fashion history is dominated by the names of Parisian couturiers. 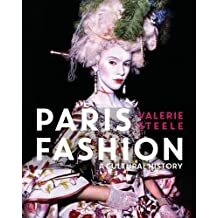 But Valerie Steele’s Paris Fashion: A Cultural History (Bloomsbury, $40) is much more than just a history of great designers. This fascinating book demonstrates that the success of Paris ultimately rests on the strength of its fashion culture–created by a host of fashion performers and spectators, including actresses, dandies, milliners, artists and writers. In 1957, New York photojournalist Jerry Dantzic spent time with the iconic singer Billie Holiday during a week-long run of performances at the Newark, New Jersey, nightclub Sugar Hill. 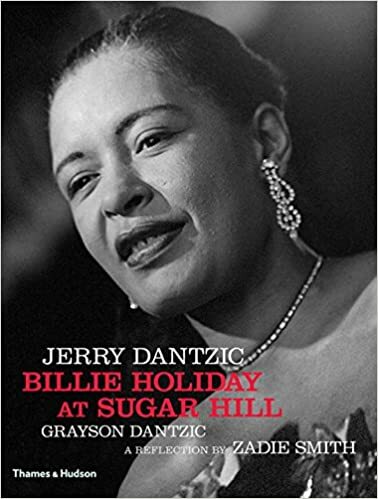 The resulting images, Jerry Dantzic: Billie Holiday at Sugar Hill (Thames & Hudson, $40), that offers a rare behind-the-scenes glimpse of Billie with her family, friends and her pet chihuahua, Pepe; playing with her godchild; washing dishes at the Duftys’ home; walking the streets of Newark; in her hotel room; waiting backstage or having a drink in front of the stage; and performing. The years and the struggles seem to vanish when she sings; her face lights up. Later that same year, Dantzic photographed her in color at the second New York Jazz Festival at Randall’s Island. Only a handful of the photographs in the book have ever been published. In her text, Zadie Smith evokes Lady Day herself and shows us what she sees as she inhabits these images and reveals what she is thinking.